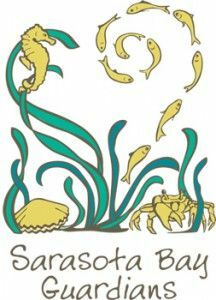 SARASOTA – The Sarasota Bay Estuary Program (SBEP) Bay Guardian volunteers will plant Florida-native plants Saturday, March 9 at Jiggs Landing. Jiggs Landing is located on the Ever’s Reservoir in Manatee County. The property was originally purchased in 1944; the popular fishing camp has undergone extensive renovations and was re-opened to the public in late 2010. Jiggs Landing is well known for its boat ramp which allows access to the Braden River. The preserve enhancements include picnic areas, boardwalks, concession stand, dock, nature-themed playground, and wildlife viewing areas. Two pavilions are also available for rent through Manatee County Natural Resources. SBEP will provide the Bay Guardian volunteers with a picnic lunch following the morning outing. The Bay Guardians is a family-friendly program that SBEP manages in partnership with Around the Bend Nature Tours. New volunteers receive a blue t-shirt featuring the Bay Guardians logo. Each outing features environmental education and a picnic lunch. Join the Bay Guardians for a single project or as an ongoing commitment. Local school, scout and church groups interested in volunteering can contact Sara Kane.